The Town of Clifton Forge, Virginia is a municipal corporation and a political subdivision of the Commonwealth of Virginia. Although the Town was chartered in 1906, its history dates back to the 1700s. The land the Town now occupies was originally part of a 1770 land grant to a Robert Gallaspy by Lord Botetourt, the then Governor of Virginia. The ownership of the land changed several times, and the Williamson and Smith families became the owners in the 1820s. A settlement developed along both sides of the Jackson River from Slaughter Pen Hollow to Smith Creek. The iron industry in Alleghany County and the completion of the road over North Mountain (now U.S. Route 60) in 1826 began the growth of the settlement. Mr. William Lyle Alexander of Lexington owned a forge in the Rainbow Gorge near Iron Gate, and he named the forge “Clifton” in honor of his father’s estate in Lexington; thus, we have the name “Clifton Forge”. The Town has a rich railroad heritage with the first passenger train arriving in Clifton Forge in 1857. 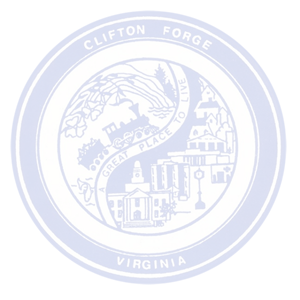 Clifton Forge grew up with the railroad industry and it became a major maintenance facility for steam locomotives if the Chesapeake & Ohio (C&O Railroad). The Town was a virtual boomtown during the heyday of the railroad with the C &O employing nearly 2,000 people. With the advent of the diesel engine, in the early 1950s, the C&O Railroad located its maintenance diesel shops in West Virginia and many of the jobs were transferred to the new facility. Because of its rich railroad heritage, Clifton Forge is the home of the Chesapeake and Ohio Historical Society, Inc. The Town is now served by Amtrak 3 days a week. The Town and its neighbors, the City of Covington, Iron Gate, and Alleghany County, comprise the Alleghany Highlands – Virginia’s western gateway. The region, named for the beautiful Alleghany Mountains, is a lush mountain playground nestled at the southern tip of the Shenandoah Valley. Clifton Forge offers affordable historic housing within an easy commute to urban centers. 2. A short drive north is The Homestead, a five star, world renowned resort offering golf, tennis, snow skiing, ice skating, fly fishing, sporting clays, and horseback riding. A little further on over the West Virginia and Virginia border in White Sulphur Springs, West Virginia is The Greenbrier Resort and Casino, a National Historic landmark, has hosted guests from around the world since 1778. 3. Nearby colleges are Dabney Lancaster Community College, Washington and Lee University, Southern Virginia College, Roanoke College, and the Virginia Military Institute (VMI).